Bristan were seeking new retail display stands to be used within the stores of independent trade merchants. So far, we have fitted more than 600 retail display stands in nearly 300 locations. If you turned on a tap at home this morning, there is a very good chance it was made by Bristan. It’s estimated that one in four British homes have a Bristan tap or shower fitted. 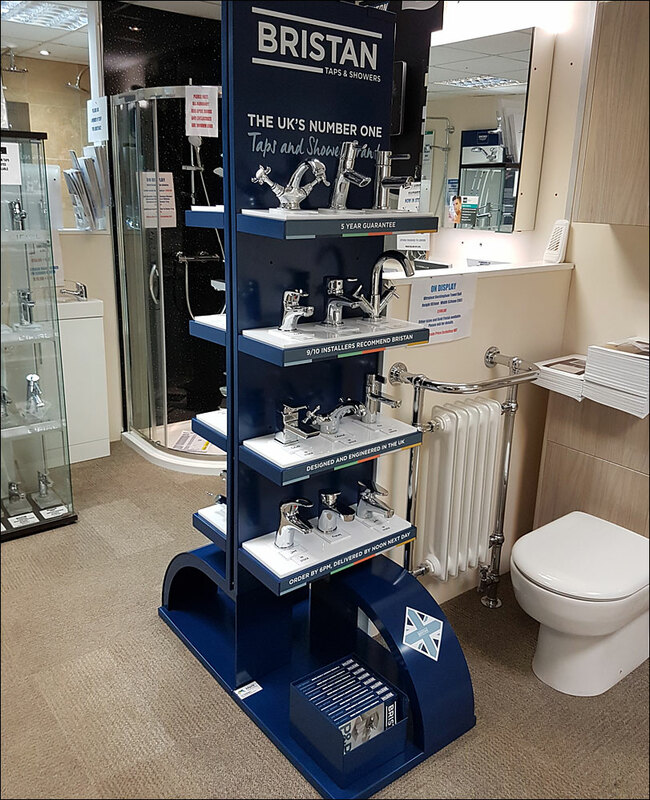 So, when the UK’s leading taps and showers company approached us to develop a new retail display stand concept, we knew high standards would be expected. 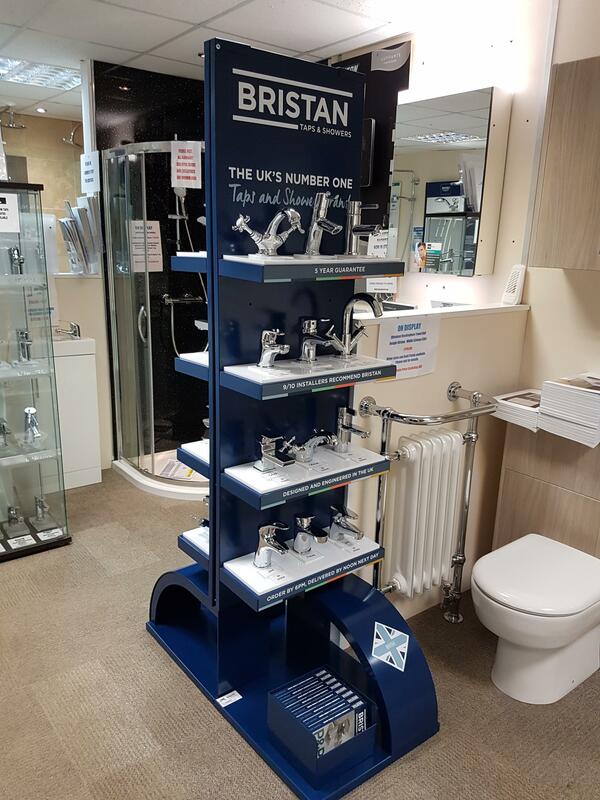 Bristan were seeking new retail display stands for their taps to be used within the stores of independent trade merchants. A design had already been created and our first challenge was to work out how to take the concept and turn it into a physical working model. Using sophisticated software, our in-house developers were able to interpret the design and convert it into a specification that could be engineered and then assembled by our technical team. Devise a way in which the taps on the retail display stands could be held securely in place while also being easily removable by adult customers for inspection. Ensure the fixing system was compatible with multiple products. Both were excellent examples of the “practical innovation” skills and solutions delivered by our team of experts. Design interpretation and technical specification. Sourcing of most suitable materials. Manufacturing of the taps retail display stands. Storage of the client’s components. The project started in June 2017 and continues to roll. So far, we have fitted more than 600 UK retail display stands for the taps in nearly 300 locations.